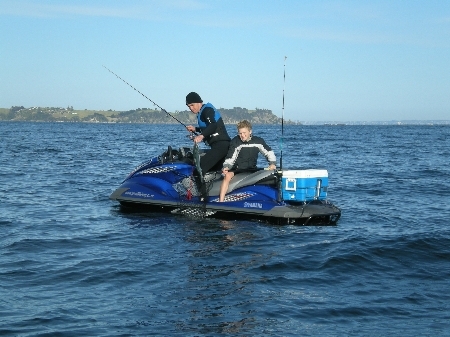 Okay I am new to the jet ski fishing idea but I love it already. Mostly due to the expense of buying a boat, keeping up a boat, and hauling (that would require a bigger truck!!!). But as with most newbies I have questions. I am also sorry if these have been asked. I did try to search but came up empty handed. My biggest concern is with passengers. Is this even possible to take a kid with you and fish? I would most likely be looking into one of the big Yamaha SUV models so I would be going large on that. Also it seems most of you handle the larger seas quite well. Now I would not take a kid out too far but as we all know mother nature can throw us wild weather. Anyway you guys have a nice site and I am looking forward to learning what I can. Oh and I am all about the safety. I love some of the write ups you guys have on safety gear. It seems that every year here in the US there are boats lost at sea for a few days due to NO basic SAFETY GEAR. I kills me to spend all that money on your rig and not have anything. 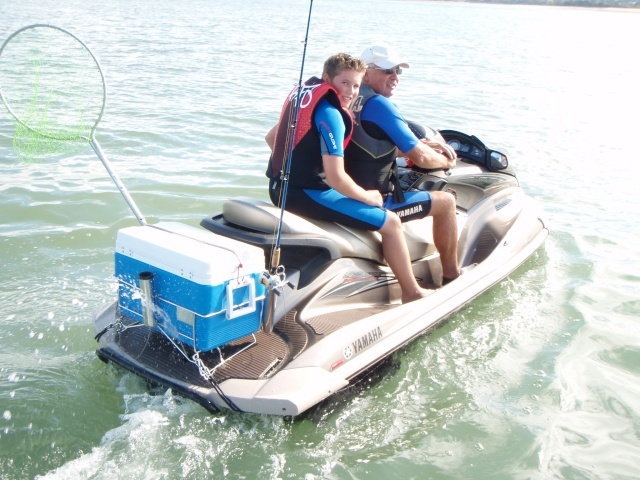 Hi Petersj, welcome to the site and yes it is fine all the questions as this is designed to be a portal for Jetskifishing data. Fishing two up is fun aswell as safe, I reguarly take my 12 year old son out and sometimes my 6 year old in the appropriate conditions. I have attached some images with two up on various skis. Awesome. I need to come visit New Zealand. What model of Yamaha is yours? I love off shore and bay fishing so maybe I should keep learning. And sorry for all the questions but I guess you got to learn. Have a read of the Ultimate Rod Holder reports and you will get an idea of the people fishing off skis and why they do it. Anyway have a look at the reports off the main menu as some interesting stuff there.